KABUL, Afghanistan (AP) — The Afghan government on Wednesday welcomed President Barack Obama's decision to bring home half of the 66,000 American troops in Afghanistan within the next year, saying Afghan forces are ready to take responsibility for the country's security. President Hamid Karzai has been pressing for a faster pace in the withdrawal of foreign combat troops from Afghanistan and agreed with Obama last month to accelerate the handover of security responsibilities to his country's newly trained security forces to this spring — instead of late summer as originally planned. "We are ready to fill the vacuum and we are ready to take full responsibility for security in 2013," Defense Ministry spokesman Mohammad Zahir Azimi told The Associated Press. Many Afghans, however, worry that a quick drawdown will destabilize a country that is still fighting a war with insurgents more than 11 years after the American invasion. They also fear that the nearly 352,000 strong Afghan army and police forces are not ready to take the lead for security. Although the drawdown was widely expected, the announcement for the first time put numbers on the withdrawal plan and for many Afghans brought home the fact that foreign troops are indeed leaving. "I heard on the news this morning about the withdrawal and became very sad. This is bad news for me," said Mohammad Naim, a 45-year-old Kabul restaurant owner. "The presence of the U.S. soldiers increased the morale of the Afghan people, the country was stable. I don't believe Afghan forces can keep security. For example, you can see that there is still fighting in the provinces." He recalled the civil war that followed in the years after the Soviet withdrawal in 1989, and said he was worried history would be repeated. "The U.S. lost men and women in this country and spent billions of dollars. We should never forget this. If all the troops leave, the future of the country is dark," Naim said. But he did not reveal what U.S. military presence would remain after 2014 to help advise and train the Afghan forces, and fight al-Qaida and other extremist groups. One reason is probably because the United States and Afghanistan have not yet agreed on a bilateral security deal that would regulate the status of those forces, including the contentious issue of immunity from prosecution under Afghan laws. If no agreement is struck, the U.S. will not retain any forces in Afghanistan after 2014, just as they pulled all troops out of Iraq at the end of 2011. No other NATO forces are expected to remain either if the Afghans don't strike a deal with the Americans. The U.S.-led NATO coalition has about 100,000 troops in Afghanistan, including the 66,000 Americans. Many countries are also expected to accelerate their own withdrawals. Britain, which has 9,000 troops here, is expected to drop to 5,200 by the end of the year — although they and the U.S. troops are expected to start the main withdrawals after the summer fighting season. 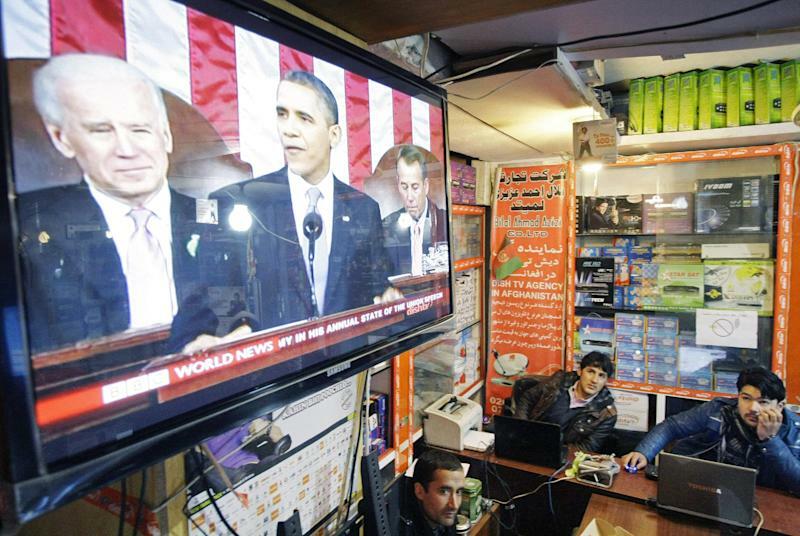 Before making the announcement, Obama had briefed Karzai in a video conference. Karzai's office said the two leaders discussed the pending security agreement, strengthening and equipping the Afghan forces, and the pullout of U.S. forces. "This drawdown will continue. And by the end of next year, our war in Afghanistan will be over," Obama said, adding that al-Qaida was no longer the threat it was on Sept. 11, 2001. The U.S. invaded less than a month later to rout al-Qaida in Afghanistan and overthrow its Taliban supporters. Taliban spokesman Zabiullah Mujahid also welcomed the drawdown, but said it wasn't enough. The coalition, he said, should leave immediately. "The Western governments must realize that their baseless war in Afghanistan had no benefit for them," Mujahid said in a statement. "Thousands of their soldiers were killed, disabled or faced psychological problems. Billions of dollars were spent, which affected their economies. Their people are faced with poverty and other problems. Now it is time for America and all other countries to put an end to this baseless war in Afghanistan and withdraw their troops." In some of the country's eastern provinces, where coalition forces have been fighting a resurgent Taliban with mixed success, some people were worried. Aziza Maisam, a female member of the provincial council in eastern Ghazni province, said she was worried about the fate of women if the Taliban should make a comeback. "I heard the news this morning and I was thinking of the effect it would have on women. The situation is bad and insecure in Ghazni province. 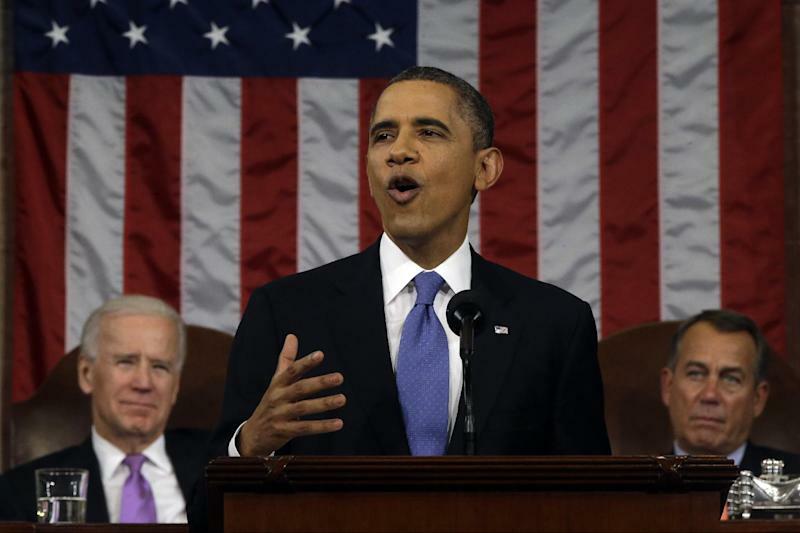 It is a premature decision by Obama to withdraw the troops," she said. "The foreign troops are very necessary. The fighting is not over as President Obama said." She said it is too early for U.S. troops to leave because the country is still not safe. "My province is an example," she said. "After 5 p.m. you can't leave Ghazni city." Associated Press writer Patrick Quinn contributed from Kabul.